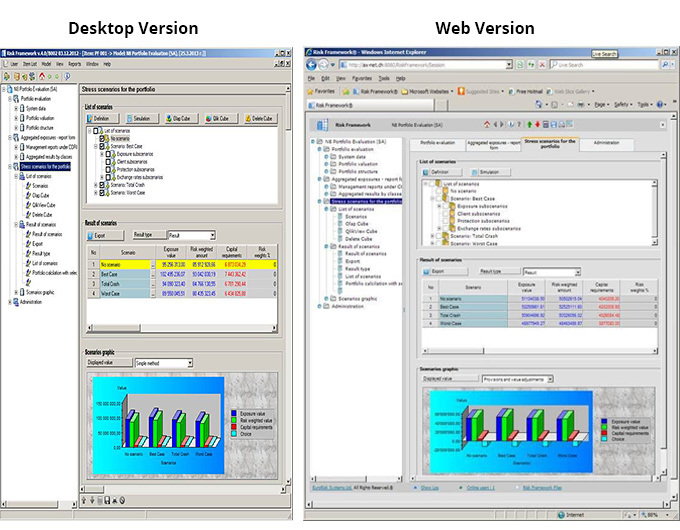 RFW Multi - user web interface | EuroRisk Systems Ltd.
Risk Framework offers a desktop and a web interface. The web interface is generated by a program module based on rules. It uses a system for dynamic generation of user interface (RFW), as well as technological tools for the development of Java Servlets, C + +, Clips, Oracle, Ajax. Translator of view type 'Item list'. The new functional modules do not violate the RFW concept. They are extensions upgrading the system's functionality, providing communication channels between web and desktop applications and transferring the desktop view into web language (HTML). Socket client is designed to make requests to a desktop application and accept its replays. In web Risk Framework, it is a servlet. This makes it, on the one hand, an http server component (having the task of accepting a request with a set of parameters, carrying out the activity and generating html to the client), and, on the other hand, RFW socket client. This is a transceiver organization, which receives data from the view register using http, forwards the data to the RFW server by Pcp-socket, expects generated HTML view and forwards it to the web client. Socket server is an additional thread that launches Risk Framework.exe, performing the following sequences of action: receives the request, determines the type of command and performs it using query parameters. At the end of the performance, a translator is started, generateing html for the resulting view model. Translator of 'Item list' is a procedure in Risk Framework.exe which generates a tree structure view of a group of elements in each financial center. The view is designed for web space and is thus defined through HTML. 'Item list' is one of two types of screens used in the system. Its role is to provide access to the main 'Session' view. 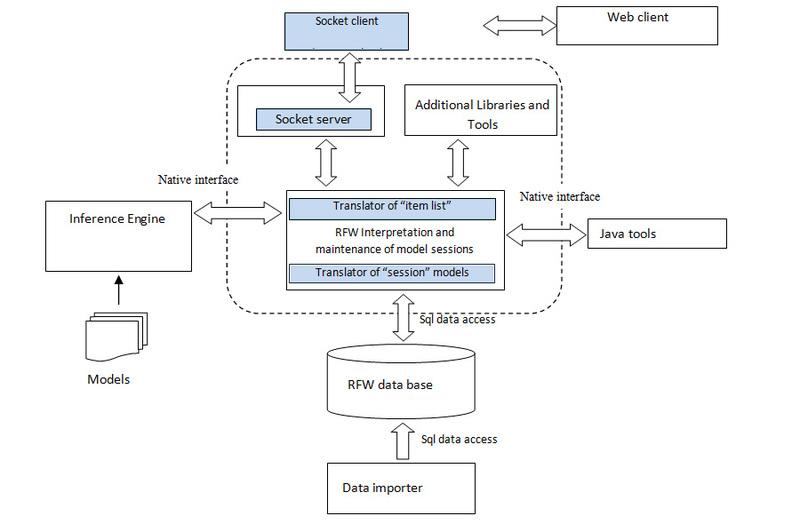 Translator of 'Sessions' is a procedure in Risk Framework.exe whose task it is to build HTML descriptions of script view models, stored in clips. The 'Session' view is the mail system view and it runs the business logic.